Okay. 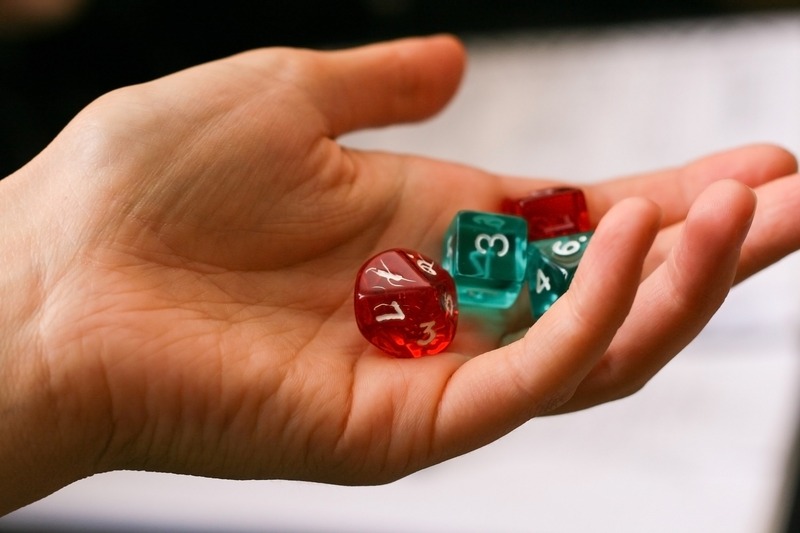 So you have the dice, you have the character… now you need a group to play D&D. If you’re searching for your own D&D group in which to unleash the awesomeness that is your newly-created character, then you have a few options. The good news is that you’re not alone. There are always people looking to play D&D… the bad news is that you have to find them, and then hope that someone is willing to be the DM for the newly-formed group. If not, then you might just have to take up the mantle yourself temporarily… but we’ll get to that in a minute. I know it sounds stupid, but most people know someone who is kind of nerdy. Heck, I run my own D&D blog, and I can easily think of a couple people who are nerdier than I am. Point is, check with the people you know first and see if any of them are interested in starting a campaign. You might be surprised at how many closet tabletop roleplayers there are. Heck, you might even know a DM already. If you live in a college town or a small city, there’s a good chance that there is probably some kind of game store in town. Game stores are a great way to meet fellow nerds and many will even allow people to host their games at the shop. Visit your local game store to see if they carry D&D stuff (or if anyone meets there), and ask if they have any kind of board postings for such things. Sometimes you’ll get lucky and they’ll know someone who can point you in the right direction. If you happen to have a college in your town, then there is usually some sort of gaming group there. Depending on your age, you might be able to find some companions for adventure. Visit the student union (it is generally open to the public) and see if there is any information there. Alternatively, most towns have a library. Talk to a librarian and see if they have anything like that, or if there is a board where you can check for postings or even post your own meetup for a D&D session. Remember that if you’re meeting with people you don’t know to be smart about it! There are creepy people in the world, so it’s best to meet somewhere neutral to make your character, and then you can better gauge the person before just heading over to a stranger’s home. Okay, so you exhausted your local options and a DM did not magically materialize for you while on your quest. Bummer. That’s okay, though! You don’t have to resign yourself to playing console RPGs for the rest of your life because there is actually a surprisingly robust online community of tabletop roleplayers out there. These gamers conduct their games completely online using what is called Virtual Tabletop (VT or VTT). There are a handful of different sites which are designed for this specific purpose, although some groups tend to use something like Skype instead. Many VTs offer online dicerollers and all kinds of cool features. It is worth noting that about half of these virtual tabletops are going to cost money to register, but the ones which require payments tend to be a little more streamlined. However, before you register make sure that there is a forum or some way to join an online group, as some of them have this and others don’t. If you can’t beat them, join them. Or, in this case, if you can’t find a DM, then perhaps the universe is simply tell you that YOU are the DM. This is actually how I got into DMing. I taught nearly all of my friends how to play and then, eventually, they wanted to run their own games. A word of warning, however: once you start DMing, it can be hard to go back. It’s also a lot of work, although if you’re looking for a slightly simpler route you can always go with a published campaign available online and at any game store. If these (or any other) methods worked for you, leave me a note below!